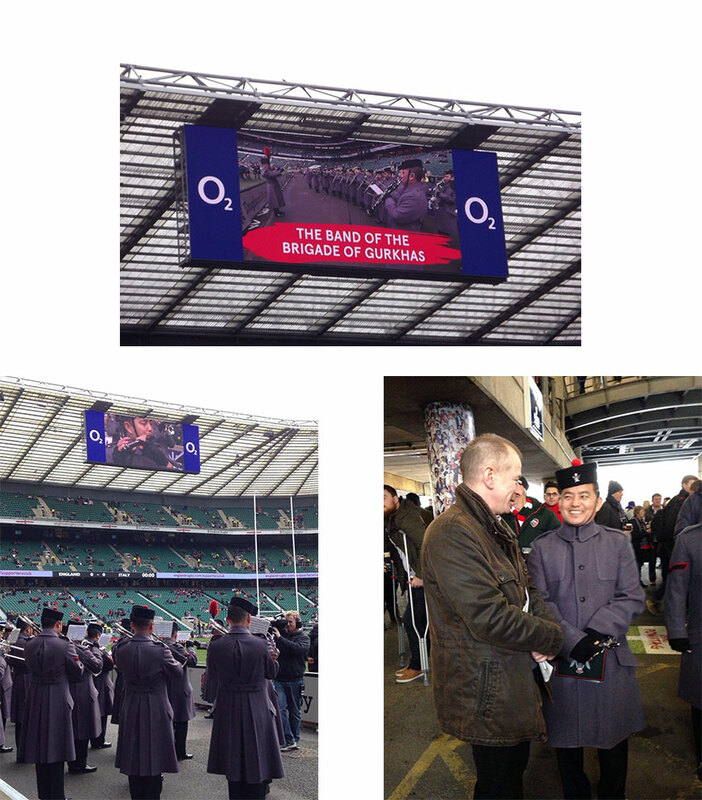 The Band of The Brigade of Gurkhas was out in force at Twickenham this weekend for England's Six Nation clash with Italy. See the video above for the band's unique take on South Korean star Psy's hit single 'Gangnam Style' before kick-off. And the Gurkhas appear to have been a good luck charm, with the home side running out 47-17 winners after tries from Jonathan Joseph, Billy Vunipola, Ben Youngs, Danny Cipriani and Nick Easter. Photos and video courtesy of the Gurkha Brigade Association.